The Costs for Developing a Mobile App: "How long is a piece of string?".. The Costs for Developing a Mobile App: “How long is a piece of string?” Best. Analogy. Ever. How much does it cost to develop my app idea? A thread was sent to me recently from the Silicon Valley iOS Developer’s Meetup, called “How much does it cost to develop my app idea?” and it’s definitely worth sharing again. While we love mobile apps at Mosio, the apps vs mobile web debate is pretty one-sided over here: the mobile web wins for most business uses. 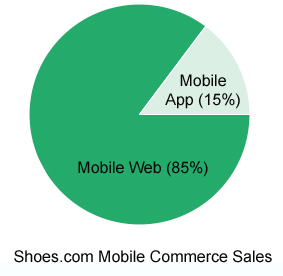 With Shoes.com stating 85% of their m-commerce sales coming from the mobile web, not mobile apps, it goes to show that it all really comes down to your company’s goals weighed against your resources. I’ve never truly heard of an organization with unlimited resources, so it makes sense people are trying to quickly ballpark the cost of building a mobile app. If you truly look at the needs of your company, odds are that you probably don’t need a mobile app right now. Even though this statement goes against the goals of iOS developers, I’m betting quite a few of them might agree.